"Imagination is more important than knowledge," said Albert Einstein, the German born physicist who lived from 1879 to 1955. 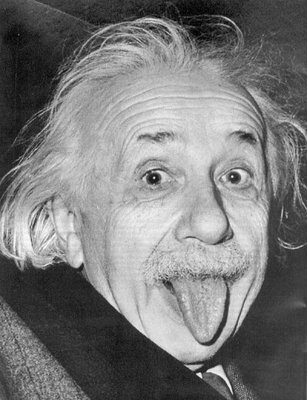 He's the father of general relativity, E=mc2 and arguably the greatest mind the Earth has ever known. Perhaps part of what Einstein was saying is that creativity plays a more valuable role in actual discovery than merely understanding existing doctrine. Not to say educating ourselves on what is known isn't important, but perhaps fiction and fantasy are far more involved with the revelation of new ideas than we realize. Imagination is at the heart of the novel, The Little Universe. 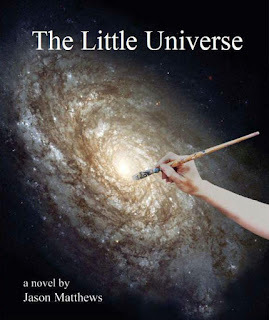 For the reader needs to imagine creating a miniature universe, a living and breathing self-enclosed cosmos separate from our own where the reader can explore all the galaxies, stars and even planets within it. Think outside the box for a moment. If you really had a universe at your fingertips and could search anywhere within it, what might you find? The possibilities are endless; from primordial soup to advanced alien worlds, surely anything could be found - and this truly stretches the limits of anyone's imagination. As an author, I felt humbled by the very concept. it, as if at any moment he would explode from thinking. I figured there must be a glitch, and I expected Adams to take off his glasses in frustration and start complaining to Rose about what went wrong. This novel available as a paperback at Amazon and as an ebook for Amazon Kindle, Barnes&Noble Nook, Apple iBookstore and the author's website directly.